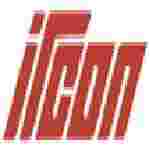 IRCON recruitment 2018 notification has been released on official website www.ircon.org for the recruitment of 01 (one) Consultant vacancy. Job seekers should apply on or before 04th January 2018. Educational Qualification: Full Time Graduate in any Discipline and relevant experience. Interested and eligible aspirants may apply in prescribed application along with-attested photocopies of certificates & document send to GM/HRM Ircon International Ltd., C-4, District Centre, Saket, New Delhi-110017 on or before 04.01.2018.